Since his debut in 1989, Ulrich Staerk gave numerous concerts as a piano soloist in Rome, Milan, Vienna, Tokyo, Paris, Berlin etc, also performing a lot of piano concertos by Mozart, Beethoven, Shostakovitch, Skrijabin, Bartok etc w. several Symphony Orchestras mainly in Scandinavia and Germany. He also very early became a very after sought chamber musician and Lied-accompanist and has become one of the most highly acclaimed lied pianists internationally (Gramophone: "The model accompanist"). 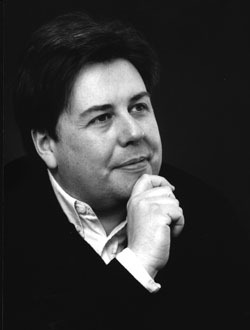 Beside his teaching at the Royal Danish Academy of Music Copenhagen and Royal Opera Academy, Ulrich Staerk regularly gives Masterclasses mainly for singers thrughout Europe, but his reputation has resulted in numerous invitations from China, Israel, Italy, Greece, USA, Brazil among others. His methods are appreciated by many singers, and he regularly coaches more than hundred singers from all over the world coming to Berlin or Copenhagen. Ulrich Staerk appears on more than 30 CD-productions worldwide (Philips, Universal, Brilliant, Classics, Naxos, Classico, dacapo, Claves, Art Produktions, Marco Polo, Kontrapunkt, Paula and more). Some of them were awarded or nominated. Just recently, he recorded three early Beethoven sonatas for BC, appearing side by side with Friedrich Gulda and Alfred Brendel. Ulrich Staerk also received the Danish Critic´s Award Price.